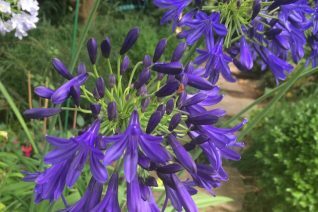 A northwest raised cold hardy selection with deciduous leaves and the most intense deep blue flower spikes to 28″ tall in June and July. Full sun, well drained soil and regular water. 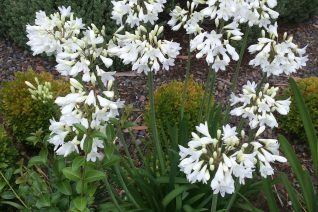 Deciduous Agapanthus (REALLY) appreciate good soil. 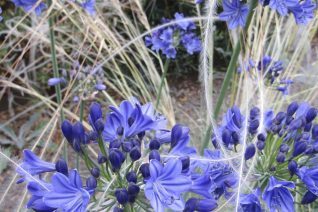 Combine with other perennials for love, joy. Best with regular summer irrigation and annual applications of organic fertilizer. Has been a long lived, long term performer in landscapes from Vancouver, BC to Medford , Oregon. 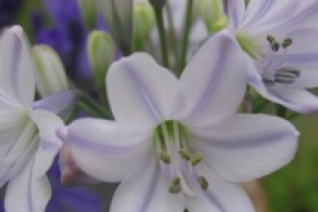 Selected for intense deep blue flower color combined with excellent hardiness to cold.